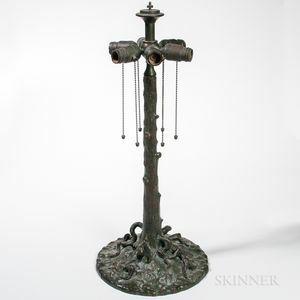 Arts and Crafts Patinated Bronze Tree Trunk Lamp Base, early 20th century, naturalistic form with exposed roots, six sockets, ht. 26, base dia. 11 1/2 in.